Books and resources for teaching kids about Buddhism and meditation. With stress and stimulus levels rocketing for children today, any child can benefit from Buddhist concepts such as mindfulness, meditation, and loving-kindness. This article briefly reviews books for introducing these to young children, and related articles do the same for older children and teens. 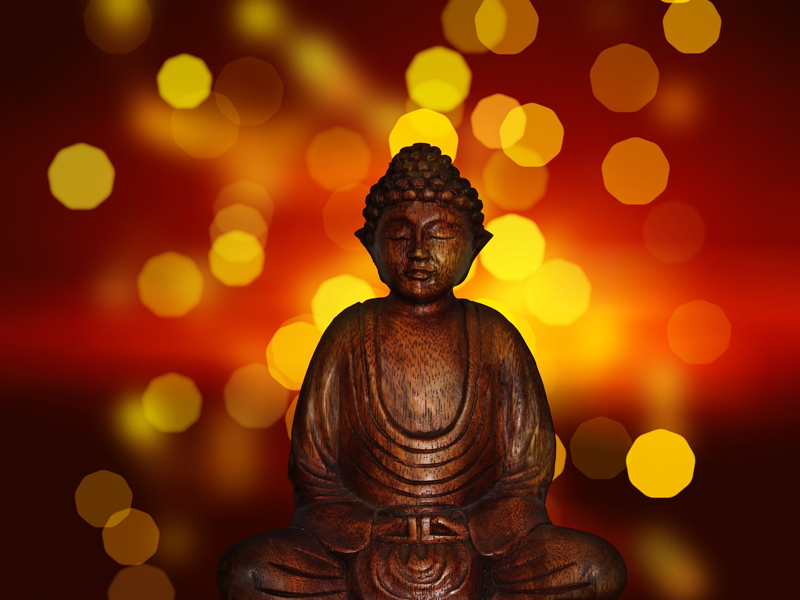 This article briefly reviews three books for introducing 9-12 year old to Buddhist themes such as mindfulness and compassion, as well as for teaching them about the Life of the Buddha and basic Buddhist tenets such as the Four Noble Truths. This article briefly reviews three books that introduce Buddhist themes to teens in a way applicable to their everyday lives. This book offers a lovely collection of bedtime stories based on Buddhist Jataka tales, for children ages 4-10. Focused on teaching universal values such as kindness, sharing, forgiveness, and more, this book is great for both Buddhist and non-Buddhist parents and children. Favorites amongst the books I have reviewed for kids and teens, sorted by age group. In The Garden of Our Minds and Other Buddhist Stories is a lovely collection of stories featuring a contemporary family with young children learning about Buddhism. It is great for anyone who wants to introduce children to Buddhist teachings. The Noble Eightfold Path is a foundation Buddhist teaching consisting of the eight components of the Buddhist path. Here's some suggestions for introducing children to each of them - great for adults of any faith too! The Jataka Tales are a set of folk stories that originated in India, and are often used in Buddhist cultures to relay ethical teachings. This article reviews a set available from Dharma Publishing, targeted to 3-8 year olds. Zen and Halloween? Sure! In this third children's book featuring Stillwater, a beloved giant koan-speaking panda, the theme of 'what is real?' is explored through Halloween costumes and imagery. A ghost story-within-the-story, based on an ancient Zen koan, further explores this theme.